The next Atlassian Summit is almost upon us! It's the largest customer and user conference organized by the software developer. At the beginning of May, we flew to Barcelona with a team of 14. Our typical presence at the US event in San José on 12-14 September will be a little smaller this time, with a core team of five people. We are already on our way, heading for California. 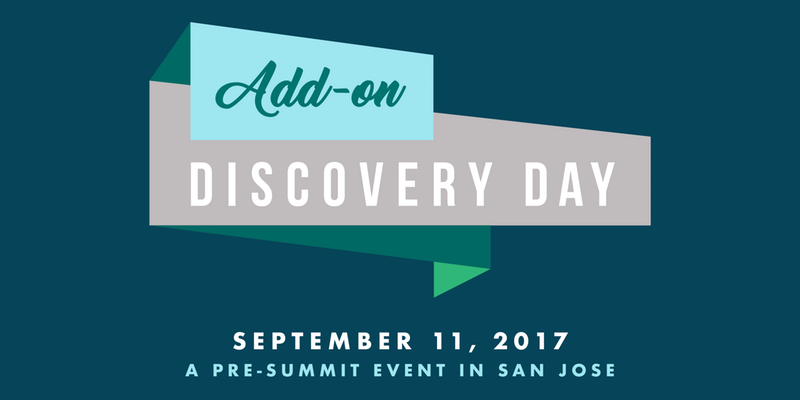 On 11 September, one day before the regular Summit, we have organized the first ever Add-on Discovery Day together with seven other Atlassian partners. This is the first event at an Atlassian Summit, dedicated to Marketplace solutions, their capabilities and applications. And that's a good thing: with 350 already registered, the event has been booked solid. On that day, we will run various information sessions covering our social intranet solution Linchpin and our diagramming tool draw.io for partners and prospective customers. The Expo will also be open all day on the following two days so we will have plenty of opportunity to get in touch with you all, both customers and partners. We are looking forward to seeing you there! Are you in San José? One of the highlights of a Summit trip for us is meeting customers. Are you attending Atlassian Summit US? Then get in contact with us - we would love to arrange to meet you! But if you can't experience the event live, we will be giving you the latest and greatest news. Like last time, we plan to update a live blog with plenty of impressions from Summit, but also technical content and news. On Twitter and Facebook, we will be actively contributing to the Summit, and perhaps again this time, we can snag a few video interviews with Atlassian colleagues - we'll upload these as soon as possible to our YouTube channel. We need to have at least another conversation with Sherif Mansour! : D Stay tuned!